This week, I loved not one but TWO articles from The Muse. One was hot to complete the work, when working on a project you’re passionate about – which I have struggled with before. And the other is about how to navigate hard times – when you’re doing you’re best but things aren’t working out. I take comfort in the fact that others struggle with this too and I love learning about the different tactics they use to thrive during those times. 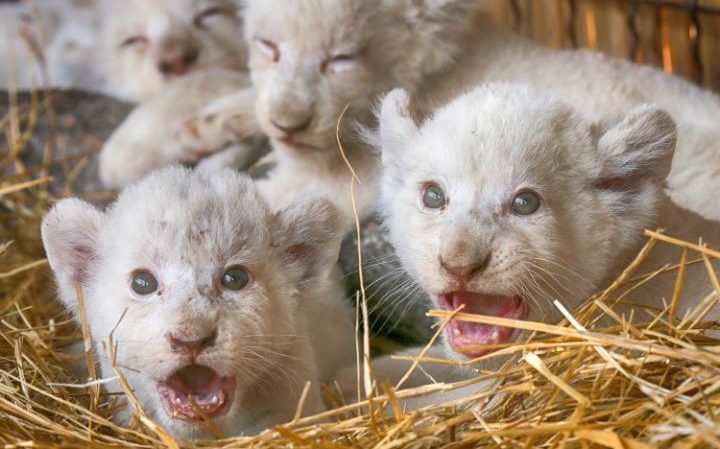 New born white lion cubs in a private zoo in the Ukraine. Unfortunately, I have a tendency to give up. When I initially decide to do something, I attack it head on, full steam ahead. I’m so excited about it, and I can’t wait to finish so I can show it off to everyone. But, before I get to that point where I actually finish, I stop. Simply stated, the first “problem” to solve is always exposing the “true” problem. Unless we live in a bubble, no one moves through life without pain. When the world begins to close in around us, what can we do to push through the darkness? Here are five strategies you can apply to move through adversity.